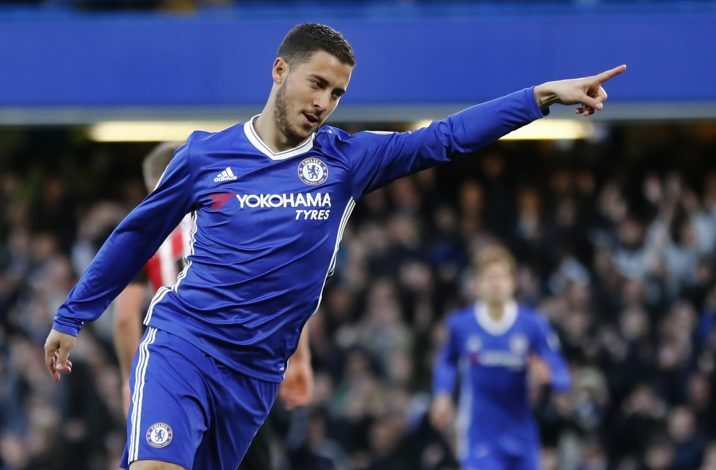 Despite not being at his sound best, Eden Hazard unveiled one of his sumptuous, minimalistic displays that essentially led the Blues to victory last night, as they competed with West Bromwich Albion with their backs against the home support. Amidst the match, Chelsea’s offensive pattern was often involved in a bit of impersonation of its old self, revamped around the fresh transfer Olivier Giroud. Having hauled his side into the lead, the profound Belgian was clearly aware of which way to turn, spinning his foot and pointing a finger at the new target man rather than commencing his traditional trot towards the corner flag. The Belgium international exploited on a quick pinball service from Giroud with his wild instincts, as all that occurred to matter was the exquisite angling of the former Arsenal reserve striker, which was followed by a superior dash from the talisman. With the introduction of raw power through Giroud, Antonio Conte has finally acquired the one who could work around with Hazard inside the box. And with the dark cloud of pressure finally cleared, the Italian tactician could contently ponder new tactics, exploiting the collaboration of the majestic pair. But the big question now is, what about Alvaro Morata?